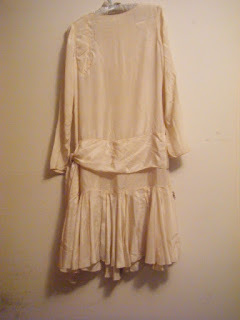 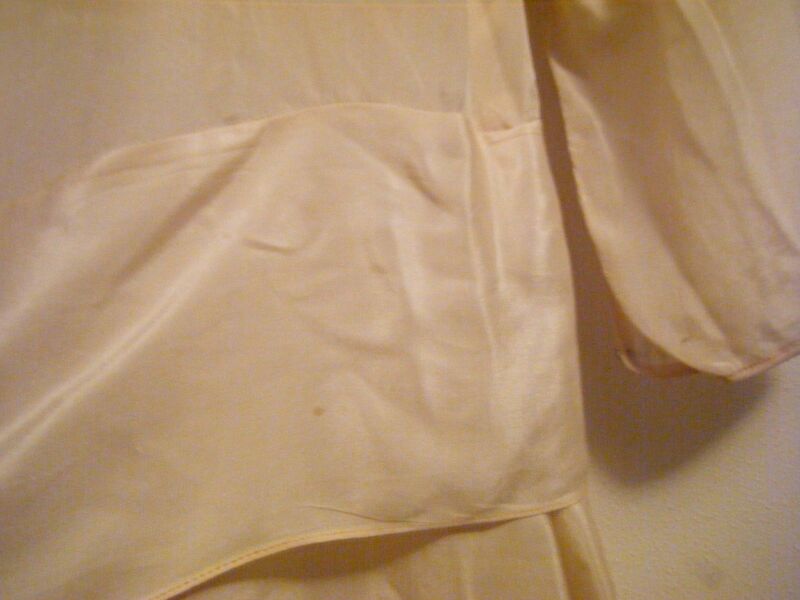 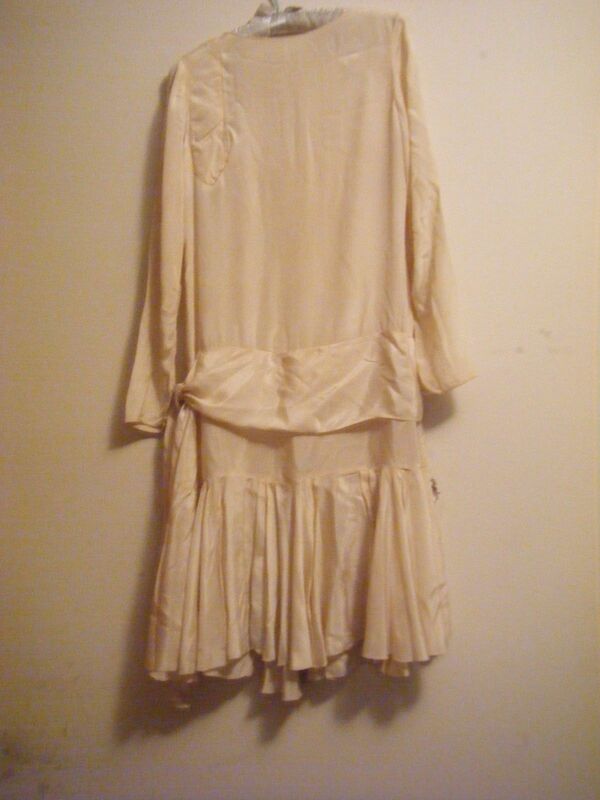 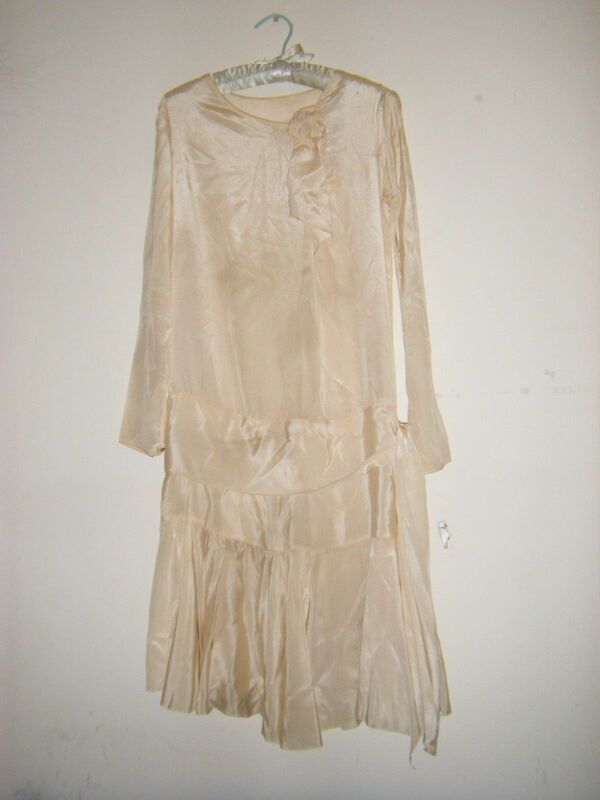 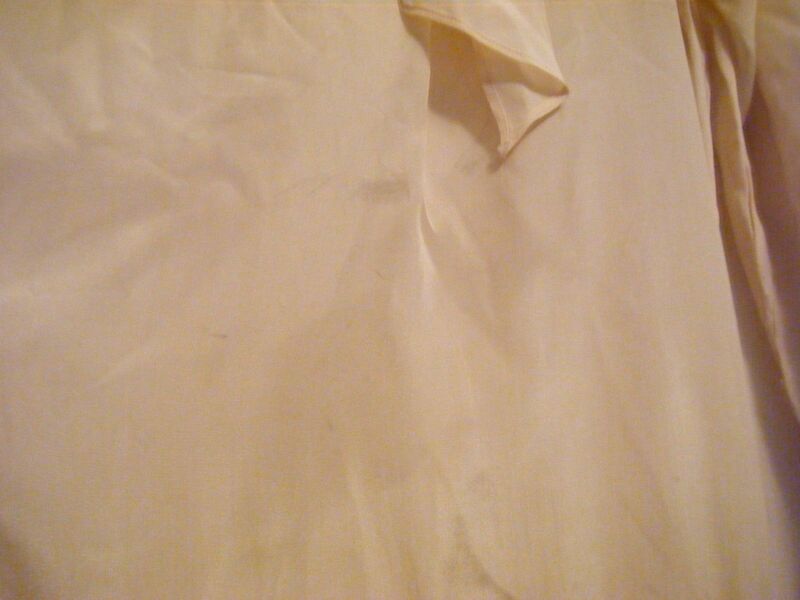 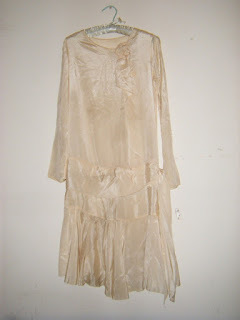 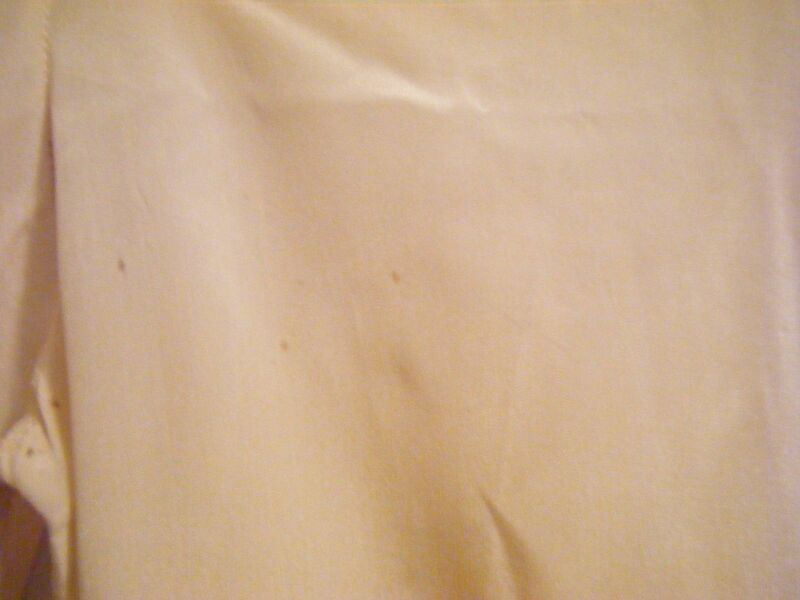 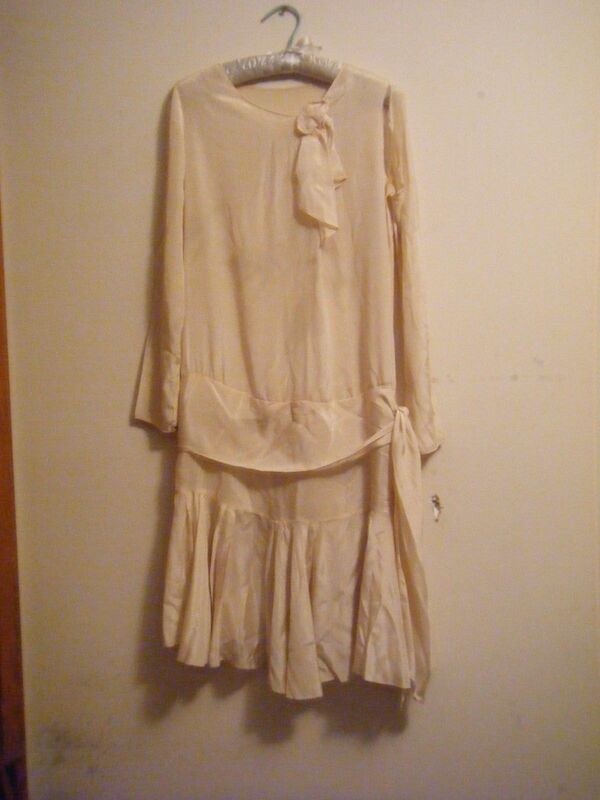 This is a vintage 1920's or 30's ivory silk or silky (I think it is silk but not positive) wedding gown or dress being offered as is because of a lot of damage. 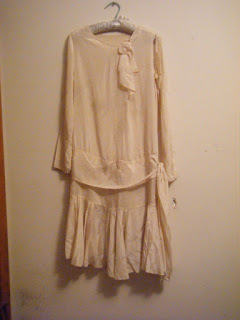 It is a slip-over dress with a drop waist and a sash around it that ties at the left side. 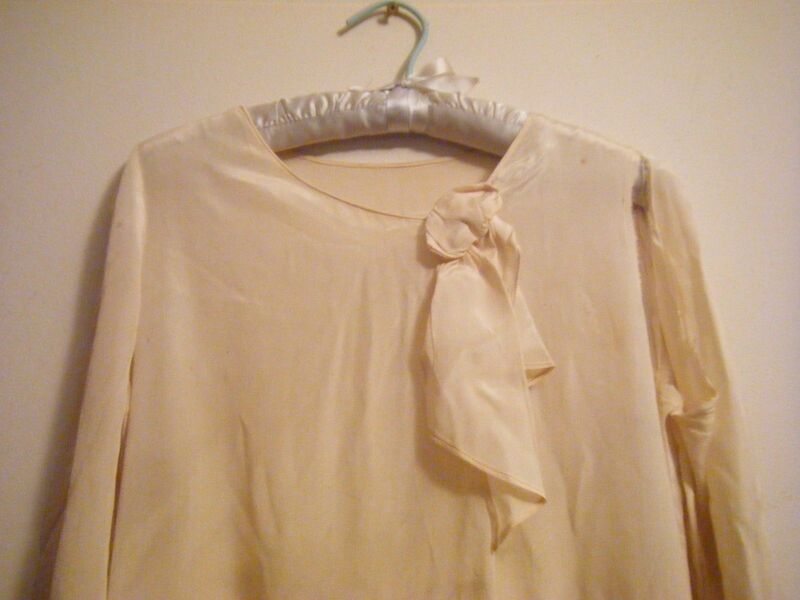 There is a bow at the neck. 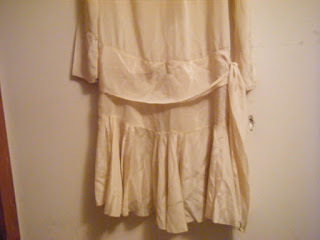 The ruffle or bottom part is made of pleats. The measurements are 14" flat across the shoulders, 19" flat under the arms, a 36" drop waist and is 42" long with a 190" hem circumference because of all the pleats. 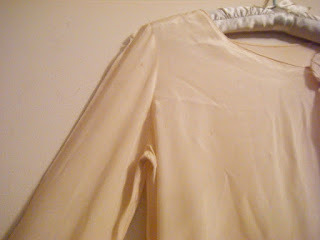 The sleeves are 23 1/2" long with a 6 1/2" opening that closes with a snap. 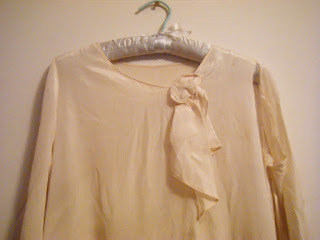 Condition is as is with tears at the sleeves, one coming off, tiny holes at the top with one slit under the bow, and a repair on the back left shoulder as seen in the 8th photo. The photos should show most of the damage. 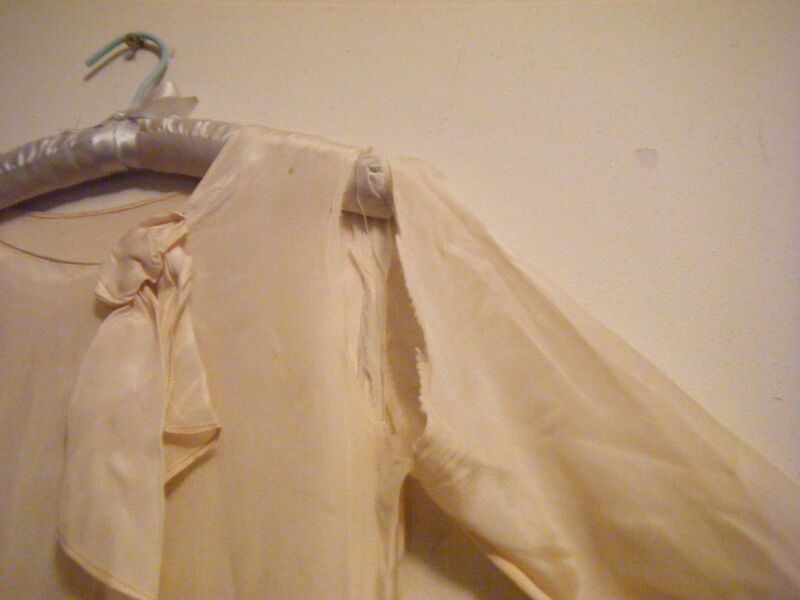 Most of the damage is to the top and sleeves but I would say about the bottom 25" or so is very good, maybe a scattered tiny hole or so. 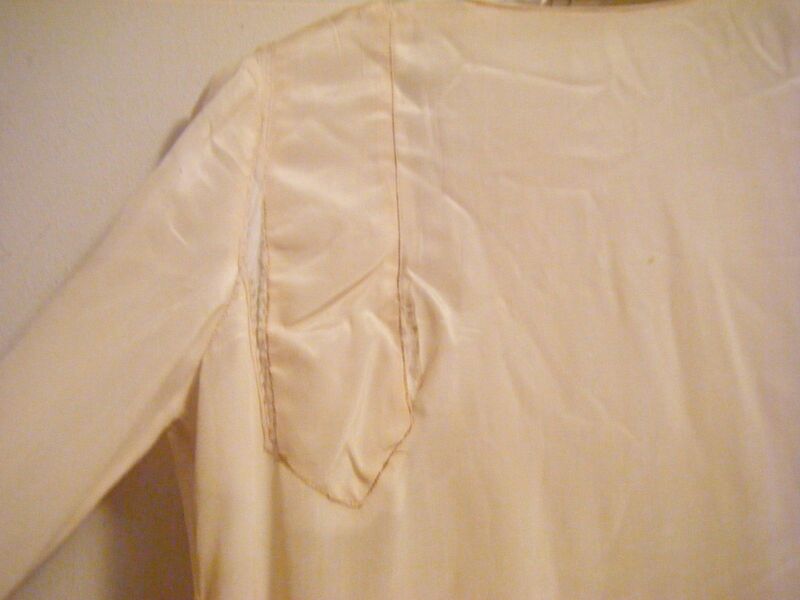 I hate to through anything out if someone can do something with it so if nothing else it is some great material to repurpose or make doll clothing. 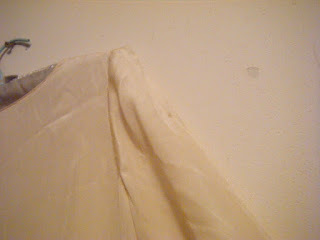 Please look at the pictures carefully with the mouse for all the damage, note the measurements and ask questions. Thank you for viewing.